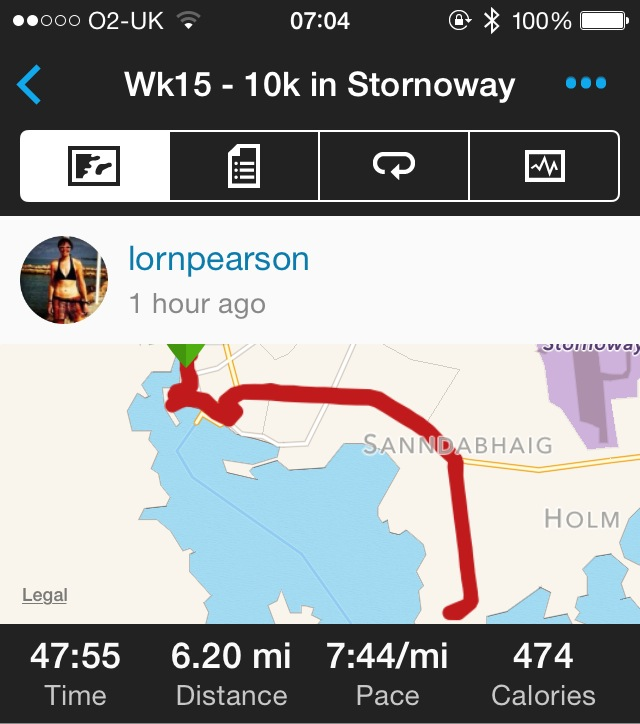 I had a good run in Stornoway this morning, as usual it took 2-3 miles to get into, but once I was going it felt great. I’d sort of planned to run for about 45 mins, but ended up running to a war memorial, 3.1 miles and decided a nice wee effort 10k was a good idea. My heart rate was good, between 145-165, and I felt comfortable. It wasn’t easy, but it wasn’t hard either. 3 records set: 1 mile, 5k and 10k. 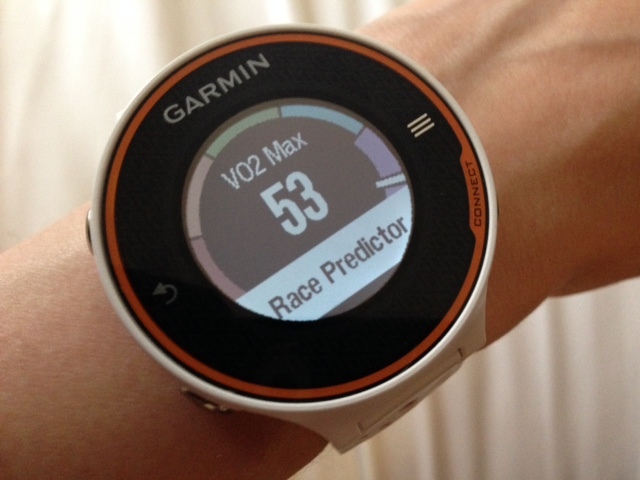 New VO2 Max recorded: 53! Recovery time required: 31 hours.